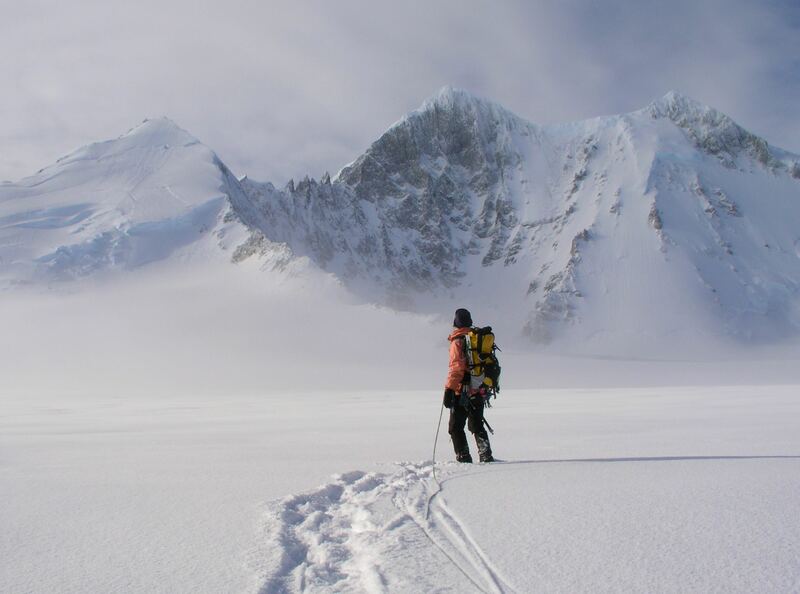 Highland Guides is a professional & friendly mountain guiding & training company, established in 2005 and run by experienced International Mountain Guide (IFMGA & MIC) Rob Jarvis. 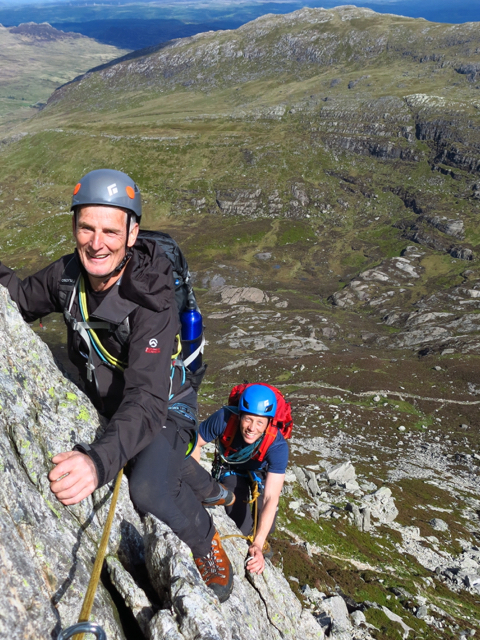 Our services include UK & Alpine climbing, mountaineering, guiding & training courses. We specialise in both open group courses and bespoke private guiding dedicated to giving our guests great experiences enjoying the high mountains of the UK whilst also training & progressing towards longer or more technical ascents here in the UK, the Alps or further afield in the greater ranges. We run courses in all seasons (and all weathers!) providing a variety of different opportunities to learn, enjoy the mountains, be challenged and progress according to your current experience, fitness and aims. 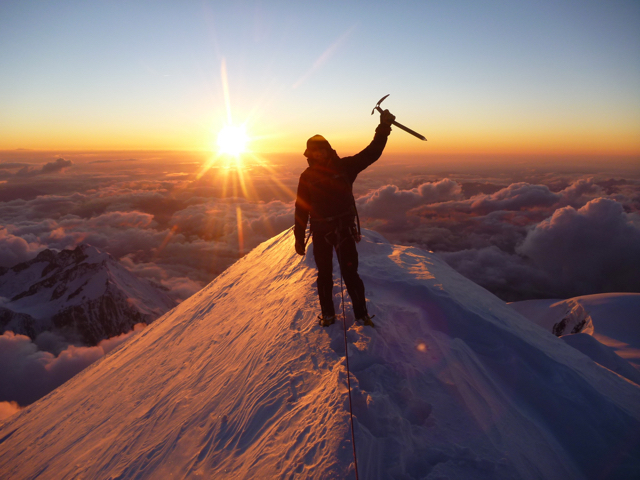 Please have a good browse around our inspiring web site and check out our exciting spring Mont Blanc & Matterhorn Training Weekends, Winter Skills & Alpinist courses; expedition training ideas; private guiding options & demanding range of mountain challenges. Have a look at our latest conditions and trip reports, the advice articles, and for even further inspiration, the gallery and cinema. 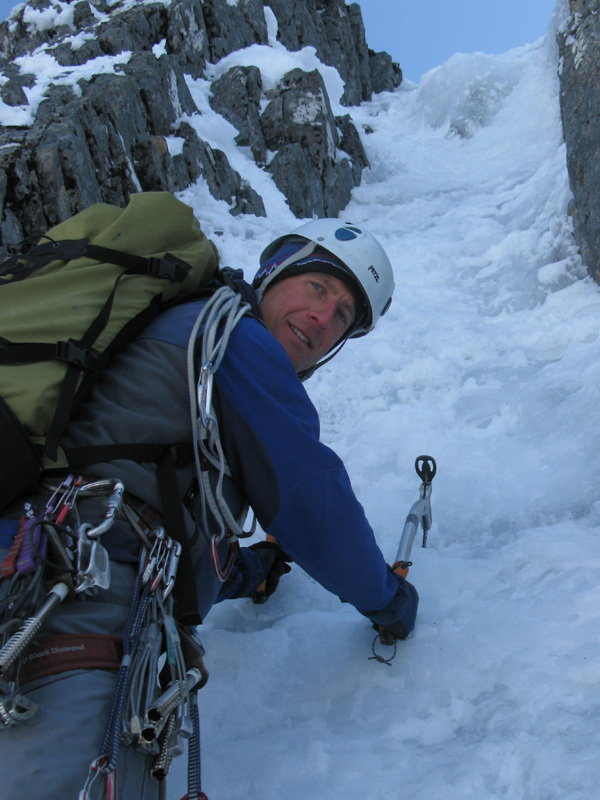 When planning, discussing and arranging your course, you will be dealing with experienced International Mountain Guide (IFMGA) and British Mountaineering Instructor (MIC), Rob Jarvis. This means you get the benefit of really sound advice and planning assistance to make sure you are heading along the right path, at the right time and with the right group. We are proud of the advice and service we can offer our guests both during the preparation phase and whilst up in the mountains. It's this complete package that gives you such a good overall experience as our pages of outstanding feedback from our guests demonstrates. Our bespoke private guiding services are tailor made for individuals and small groups who want a focussed mountaineering experience / training course in the mountains, or the dates of our group courses do not match. 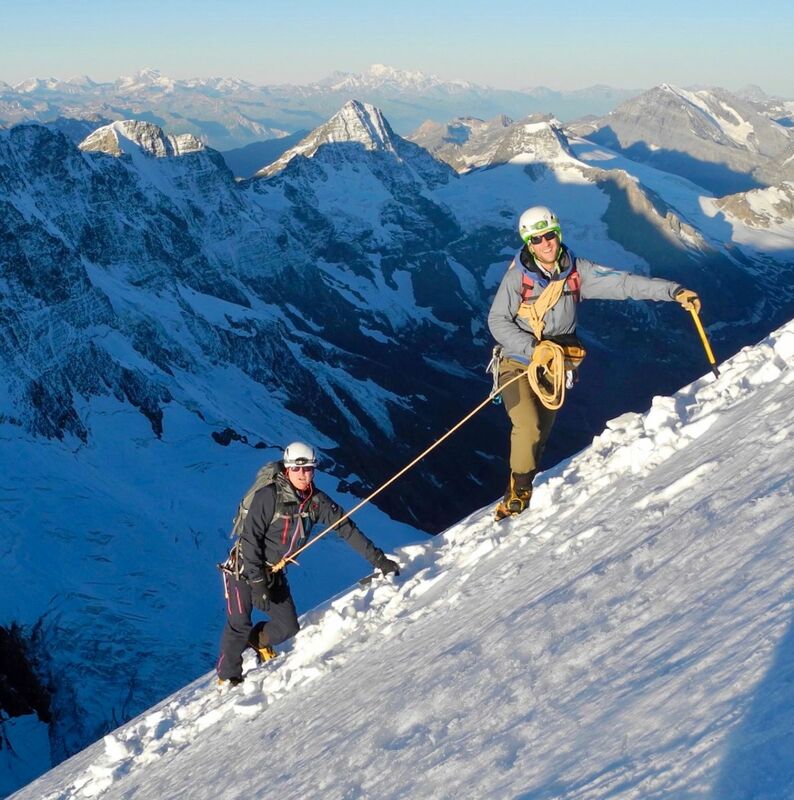 Either way, our UK based training courses are often purpose built to progress to bigger peaks in the Alps like Mont Blanc, the Matterhorn & our 'Becoming An Alpinist' Course and we run these through our sister company, High Mountain Guides which specialises in Chamonix based alpine mountaineering & training. This offers a smooth progression from Snowdonia, to the Scottish Highlands, Chamonix and the many & varied onward challenges of The Alps. Being a small flexible company with no set venues or time constraints we are able to make the most of local weather and conditions and structure your course accordingly. If it’s appropriate an early start can be made to get the conditions and beat the crowds or a late finish might give the lasting memories of a summit sunset. Not only are all the Highland Guides team fully qualified for the activities provided they also have a wealth of experience, ability and enthusiasm to draw on ensuring you get a lively, challenging, educational and inspiring course. With all this experience you can be assured that not only are you in safe hands but that we will be able to deliver our aim of offering you a safe, enjoyable, informative & rewarding time in the mountains. Why Hire an Instructor or Guide? If you are unsure about whether to hire an instructor or guide generally think about it this way...Most folk are happy to spend hundreds of pounds on equipment but sometimes lack the necessary skills and experience to get the most out of it. Traditionally, some UK mountaineers have had a reluctance to use guides and instructors and had an approach to mountain safety that was over dependent on equipment. Kit is easy to buy but skills and good experiences are hard won. 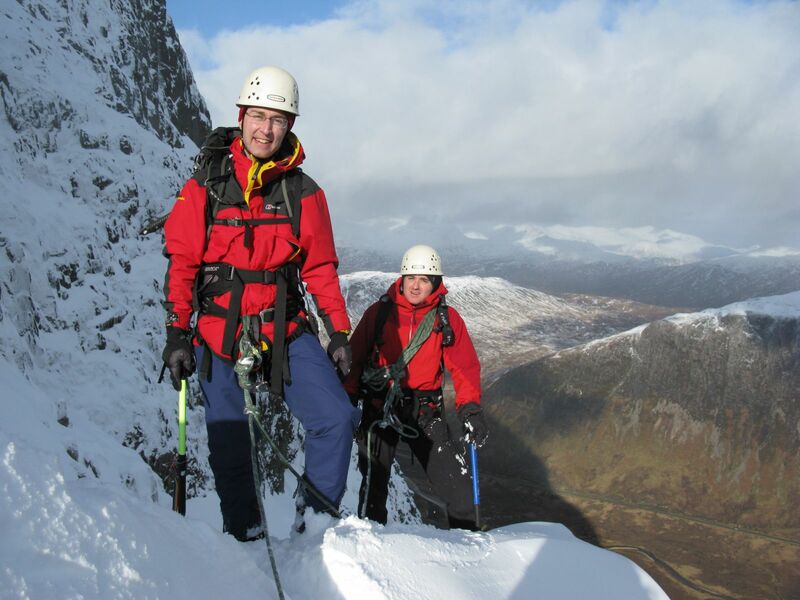 By using Highland Guides we can help you develop your mountaineering ability and enhance your time in the mountains. We believe that you get the most out of your time mountaineering by experiential learning and not too much talking about it. Simple and effective techniques are instructed in a clear and practical way. We don’t teach flash knots that in a week you will have forgotten but encourage practice of safe and efficient principles that will stand you in good stead throughout your mountaineering career, wherever that may take you. On guided days with us the emphasis will be on a maximum amount of high quality climbing as well as having a sociable and enjoyable day. We believe you learn from experience and you will certainly benefit from the guidance we pass on as well as the enoyable & rewarding experiences we can give you in the mountains. We look forward to hearing from you and hope to climb with you soon in the Highlands of Scotland, Snowdonia or The Alps.